On Tonight’s We Love Woking Show… Change and Evolution. The WLW Show heads is now into it’s 4th Year! Thankyou to every single person who has appeared on our shows as a guest and to all those who’ve we’ve spoken to via phone. We live in a World where the agenda seems to be to separate and divide us, and have us fearing each other. So with all the negativity around, we made it our mission to be the reminder to everyone, that there are some amazing people, doing wonderful things all our over beautiful diverse community. We have had over 300 people in our studio, including local businesses, organisations, charities, authors, artists sports clubs, musicians, bands, DJ’s, events promotions and much much more. You inspire us with your stories, your journeys and your hopes and dreams. In turn we hope it’s ignites a spark in our listeners, who may be inspired from hearing our guests, to then go and follow their dreams. Woking is undergoing some dramatic changes. More on that later. And so is The ‘We Love Woking’ Show???? That is how we began….and how we will continue. 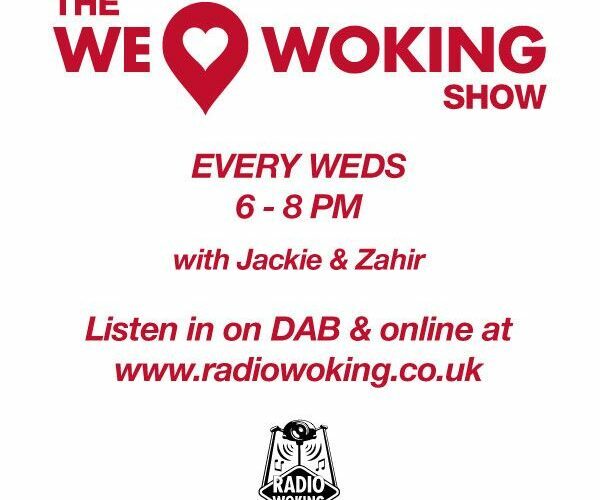 Join me, Zahir 6-8pm on Radio Woking. I’m taking you on a Magical, Mystery ride. With words of inspiration to set your on your mission, lots food for thought and all surrounded by the best mix of uplifting music you will hear, covering lots of genres. If you’re chasing your dreams, thinking about it, or just need a reminder of your importance to all of us….tune in. To listen on your mobile/tablet you can download the free Radio Woking app.